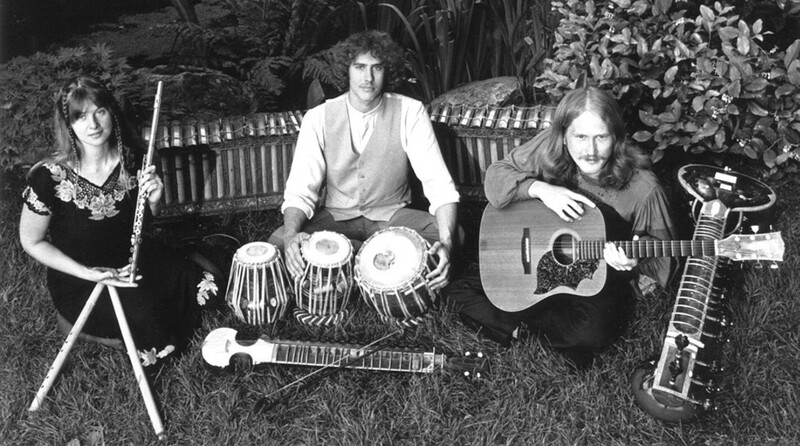 Matthew Montfort came to the Bay Area in 1977 to study North Indian classical music at the Ali Akbar College. After a short stint in the Diga Rhythm Band, with Jerry Garcia and Zakir Hussain, he created Ancient Future. By combining traditions from all over the world — including Balanese gamelan, Nepalese, Chinese, and Celtic folk music — Montfort created a unique body of work. With his scalloped fretboard guitar, an instrument halfway between the South Indian Vena and a steel string guitar, Montfort led the band through a diverse program of cross cultural music. This concert at the Freight celebrates the band’s 40th anniversary with two sets. The first, with the band’s original lineup from 1979 — Montfort on guitar, Benjy Wertheimer on tabla, and Mindia Devi Klein on bansuri and silver flute — and the second, with an open ended program, featuring musicians from the band’s long recording and performing history.